How long have we all waited for the opportunity to do things we have avoided due to “money, weather, or an array of other excuses?” For many of us, it’s been way too long. However, time is not slowing down, so let’s do that which feeds our souls and fuels our-inner courage. Let’s do BIG, COURAGEOUS, WONDERFUL THINGS like my dear friend and mentor, Beverly Rose did. Beverly Rose knew the value and fragility of time and did not procrastinate when it came to listening to her calling. Vibrant, fierce and unrelenting, Beverly was a single mother who traveled the world, started several businesses, and built a home for herself, and her two children, here in Maine. At the age of 48, and weighing 210 pounds, Beverly made the bold and courageous decision to hike the entire Appalachian Trail by herself. Joking about her physical condition, she had every reason not to follow this lofty dream. People told her she was “crazy” and “couldn’t do it.” Doing it anyway, Beverly a.k.a. “Maine Rose”, carried her backpack for nearly 2,158 miles. She lost 43 pounds while gaining something bigger than confidence in the wilderness. All who knew her celebrated with awe. Those who didn’t were inspired by the media coverage of her incredible feat. As a close personal friend, Beverly’s focus and strength inspired me to venture out on my own journey. Leaving a secure, corporate upper-management position, I started my coaching business. Although a different kind of trek, I believe Beverly and I (and many of you!) are fellow travelers even now, drawing on inner courage and passion for what we love to do. To this day, one of my most prized possessions is Beverly’s walking stick from her monumental hike. It is a literal reminder not to sell myself short with excuses, self-sabotage or useless worry. Like she did, it inspires me to dream bigger, be courageous, and to take advantage of the precious time given to us. In 2001, Beverly passed away from cancer. While deeply saddened, the special time I spent with her when she was ill (and lessons I had learned from sitting quietly), were gifts that moved me to action I otherwise may have never taken. In addition to making daring changes and starting my business a few years after she died, Beverly was in my heart and front-of-mind when in November 2014, I started a local chapter of 100+ Women Who Care. Part of a national organization, we are a group of women who meet quarterly, pool financial resources (everyone donates $50 per meeting), nominate and then vote on a local non-profit as the sole recipient. In just 19 months we are 201 women strong and have raised $50,000 for Southern Maine charities. 100+ Women calls for a short time commitment with huge results. The meetings are professional but fun, upbeat yet emotionally moving and all are welcome to join us as members and/or sponsors. Interested in learning more? 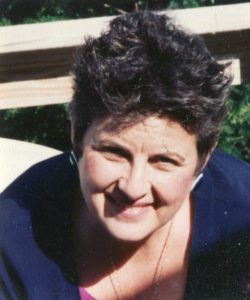 Let me know or visit our website – www.100womenwhocaresouthernmaine.com. Enjoy the end of summer, make the most of your time and be wonderfully courageous. 1) Who in your life has been a role model for motivation and courage? What 3 characteristics come to mind when thinking of this person? 2) Take few minutes to sit quietly and think about how the following phrases: “The Passing of Time and a Show of Courage” are inter-connected. Journal a paragraph or two about a situation (goal/dream) in your life where this may have special meaning. 3) When Beverly was ill, I had the privilege of quietly sitting with her daily. Instead of being scared, I had time to think and reflect. My priorities became clearer (thus starting my coaching business) as I realized she had no regrets. Looking forward, what would have to courageously change for you to live a life of no regrets?